Notice that you see the spoon lying on the bottom of the bowl, but you also see an image of the spoon upside down on the surface of the water! This is because when light encounters a new substance, it can do more than one thing. 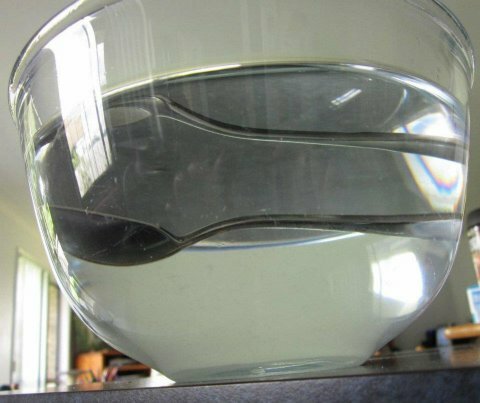 You see the spoon lying at the bottom of the bowl because light passes through the bowl, passes through the water, reflects off the spoon, passes back through the water, passes back through the bowl, and travels through the air to hit your eyes. 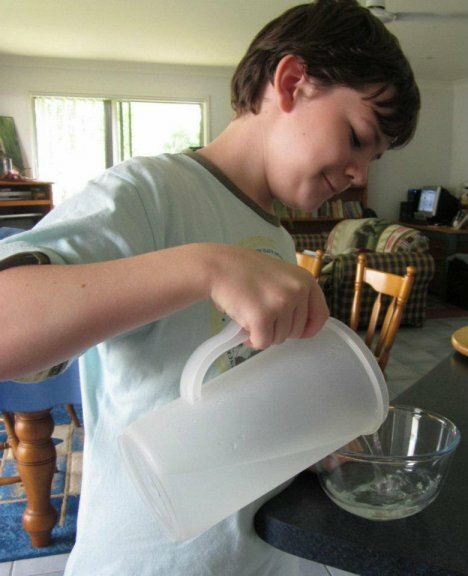 You see the image of the spoon upside down on the surface of the water because light passes through the surface of the water, travels through the water, reflects off the spoon, travels back through the water, reflects off the air at the surface of the water, travels back through the water, passes through the bowl, and then travels through the air to hit your eyes. 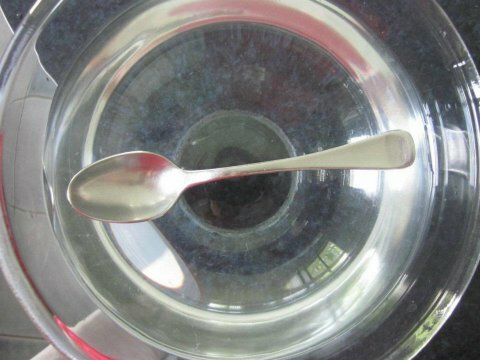 Nevertheless, when you look straight down into the bowl, you can see the spoon lying there (see step 2). That’s because some of the light passes through the surface of the water, travels through the water, reflects off the spoon, travels back through the water, and passes back into the air so it can travel through the air and hit your eyes. So in the experiment, you see that when light hits the surface of the water after reflecting off the spoon, it can do two things. (1) Some of it passes back into the air, which is why you see the spoon lying at the bottom of the bowl when you look down at the bowl from above. (2) Some of it reflects off the air so you can see the upside-down image of the spoon when you look through the side of the bowl from below. Very cool! We will have to try it out. Congratulations on your new curriculum – will have to check that out too! Richard Dawkins Produces Another Theist People Weren’t The First to Develop an Internet!